A solo project from the Håvard Ellefsen, erstwhile bassist of premier Black Metal act EMPEROR, MORTIIS specialize in ambient electronic Doom music. 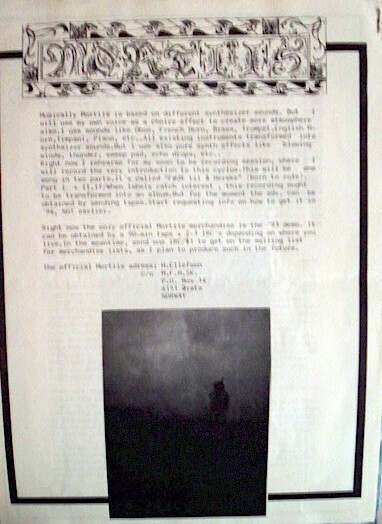 The name is a misspelling of the word 'mortis', which is the pronunciation used by the band. Mortiis also conducted another electronic band, VOND, in order to give vent to more "negative" music! 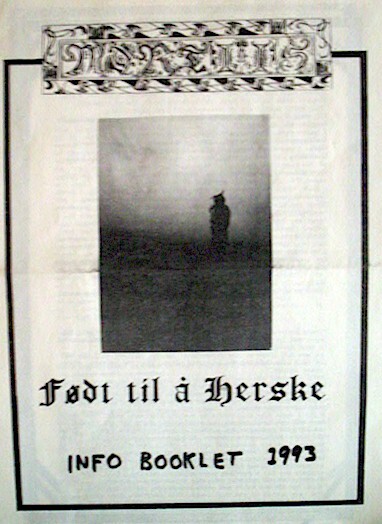 Mortiis started as the solo project of Håvard Ellefsen as a means to convey a story. This aspect was lost over time and Mortiis slowly formed into a band. The album 'Crypt Of The Wizard' was also issued as separate set of five 12' singles by the Dark Dungeon Music imprint. 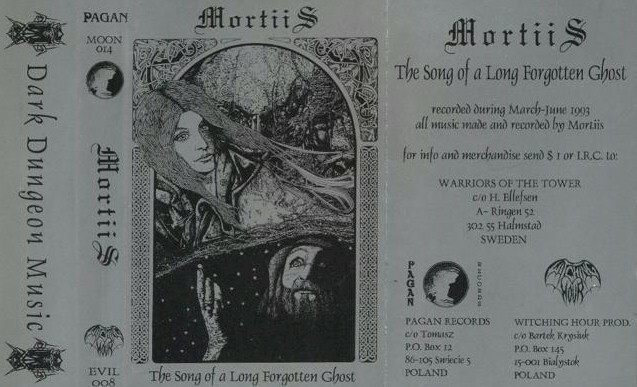 Early MORTIIS releases were issued in limited edition coloured vinyls only serving to increase the mystique surrounding the man. Signing to British label Earache Records for 'The Stargate' album, featuring CRADLE OF FILTH vocalist Sarah Jezebel Deva, brought the enigmatic figure to a wider audience. This is the original version. Xerox covers. 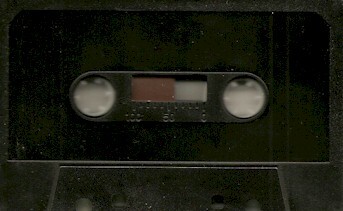 Recorded onto regular tapes. 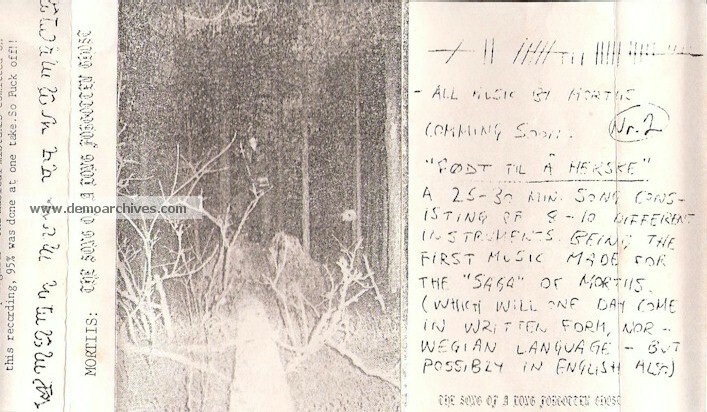 This is the Pagan Records version. Pro covers and tapes. Xerox covers. 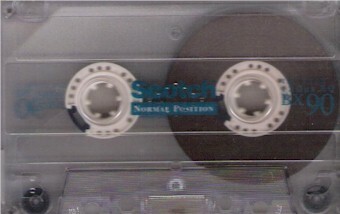 Promo tape of the upcoming album with the same name. Lyrics available upon request. This promo only contained PART 2. 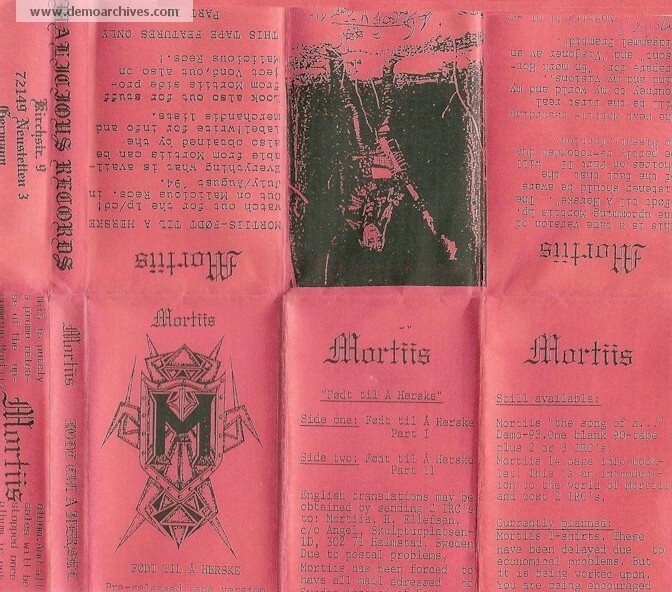 Some demos came with a booklet explaining the MORTIIS concept.